Google has released Android O developer preview 3 with the final Android O APIs (API level 26). 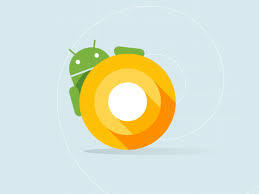 It also revealed that Android O will be Android 8.0. The latest developer preview also brings color-coding for rich media notifications so these notification has themed based on album art or video thumbnails and the thumbnail now fades into the notification. These are available for Google Play Music, Spotify, and YouTube Music, as well as YouTube Red and Chrome that lets you play music in the background. Android O brings several new features such as notification channels, PIP, adaptive icons, along with some of the new APIs — autofill, font resources in XML, auto sizing TextView, WebView enhancements, and more. Android O developer preview 3 images are now available from Android developer, you can also get OTA images. It will be available OTA O for Pixel, Pixel XL, Pixel C, Nexus 5X, Nexus 6P, and Nexus Player. stable release in Q3 2017.